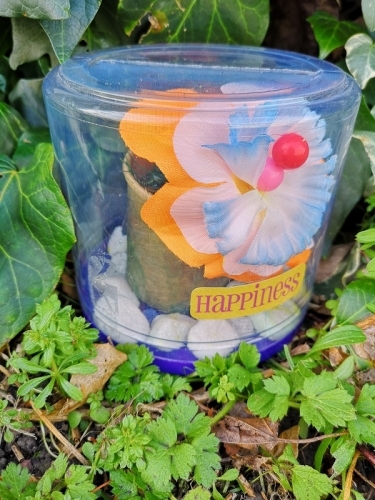 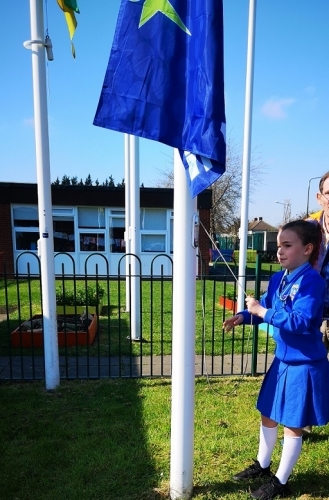 Today, the 29th of March 2019, was one of those special school days that everyone will remember forever. 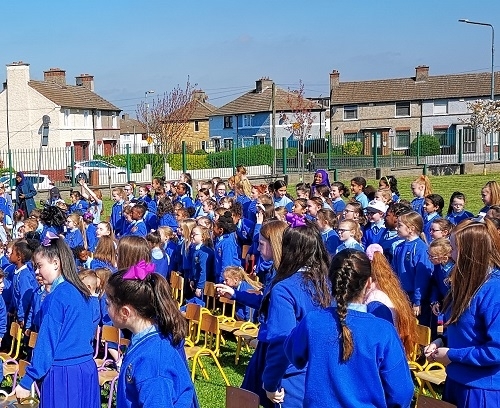 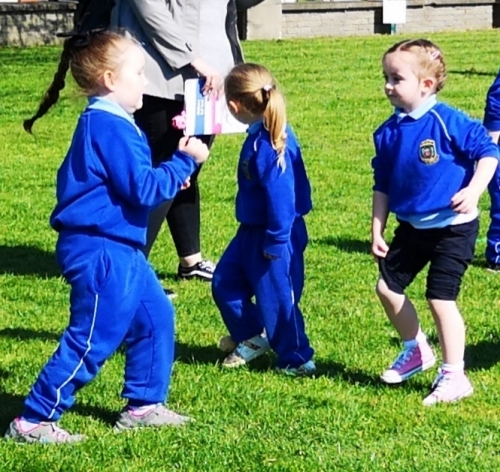 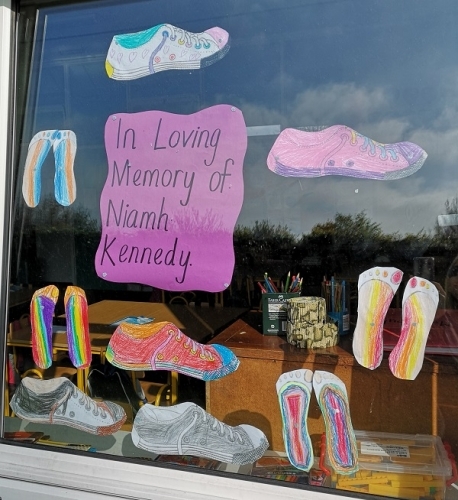 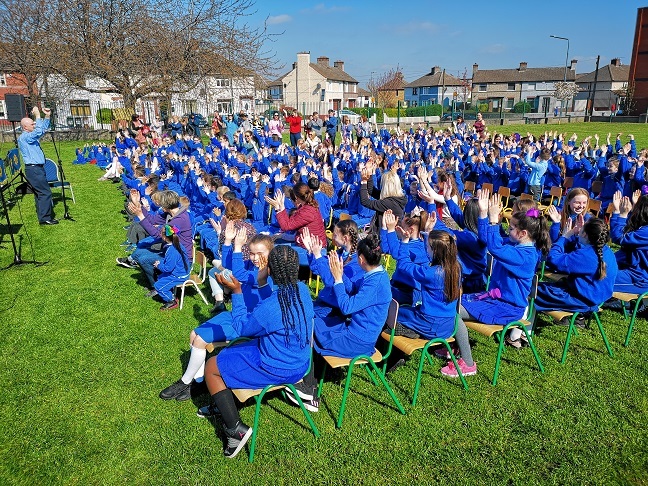 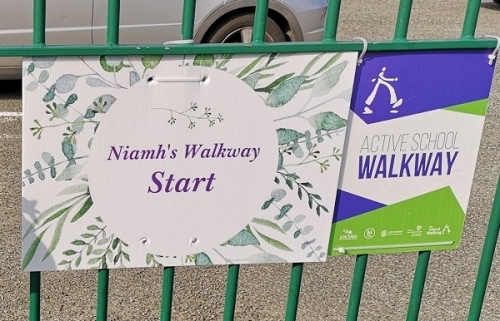 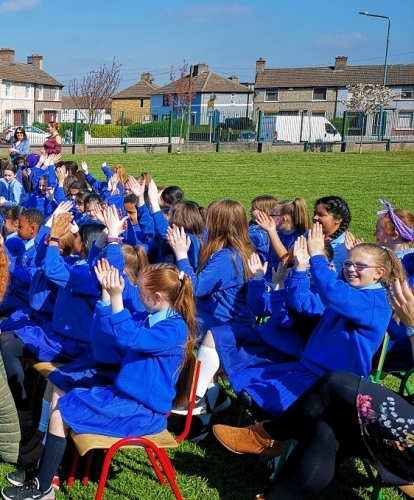 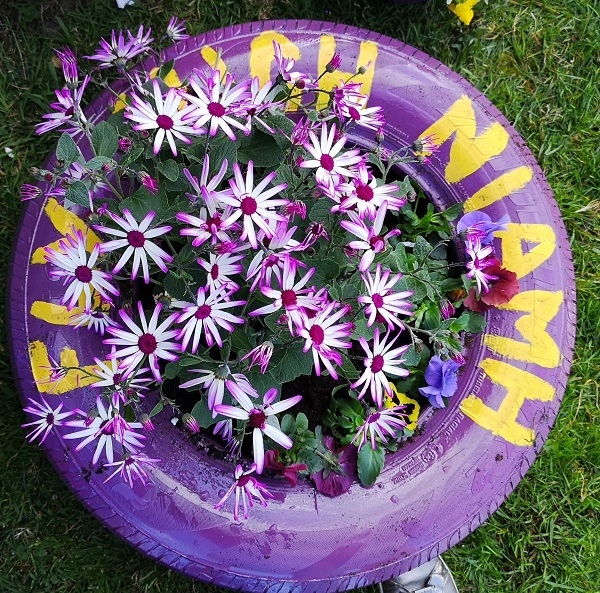 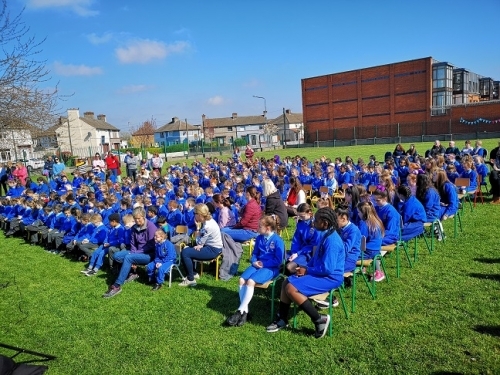 It was the day we, as a school community, took time out to remember our dear friend and student Niamh Kennedy and to show in our very unique way how much she meant to us all. 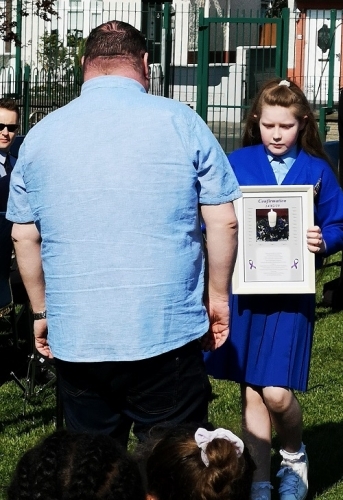 It was a privilege and a pleasure to have so many of Niamh's family with us today. 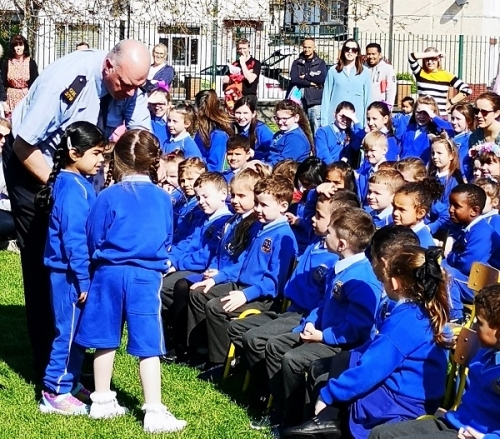 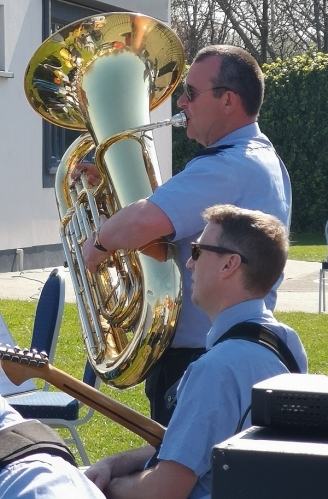 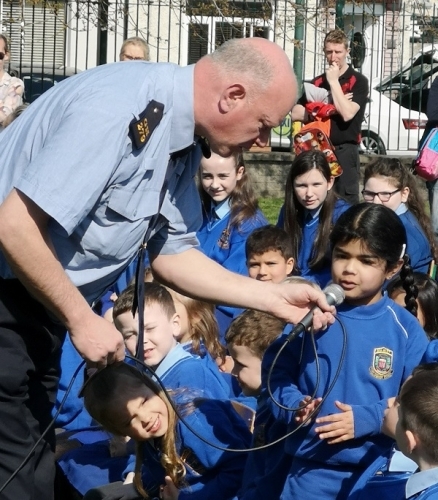 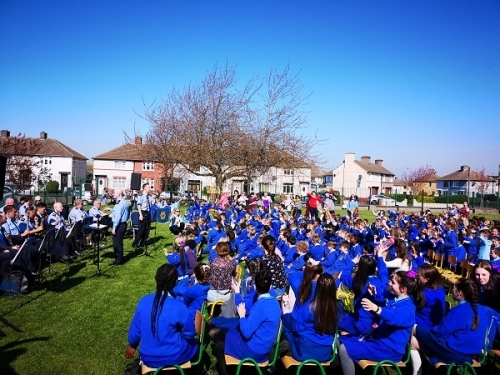 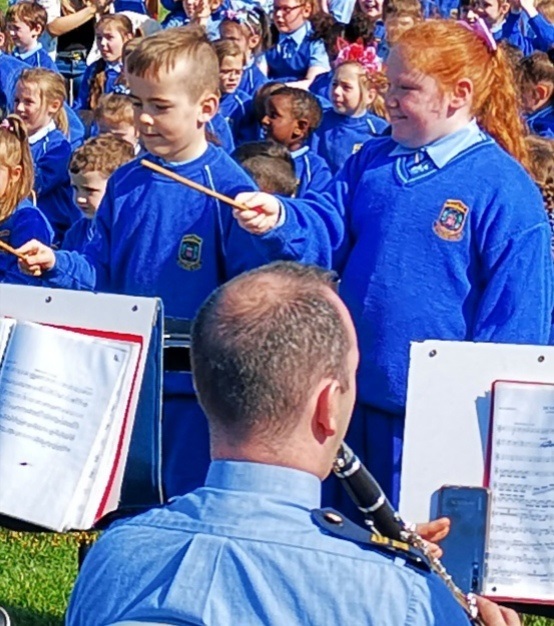 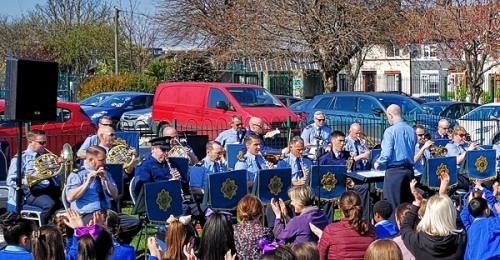 The Garda Band came to the school to mark the special occasion of the launch of Niamh's Walkway - a beautiful enchanting creation which will forever be associated with Niamh and with all that is good and beautiful as she was. 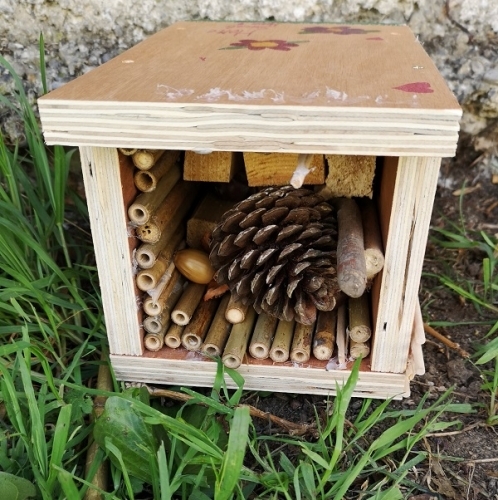 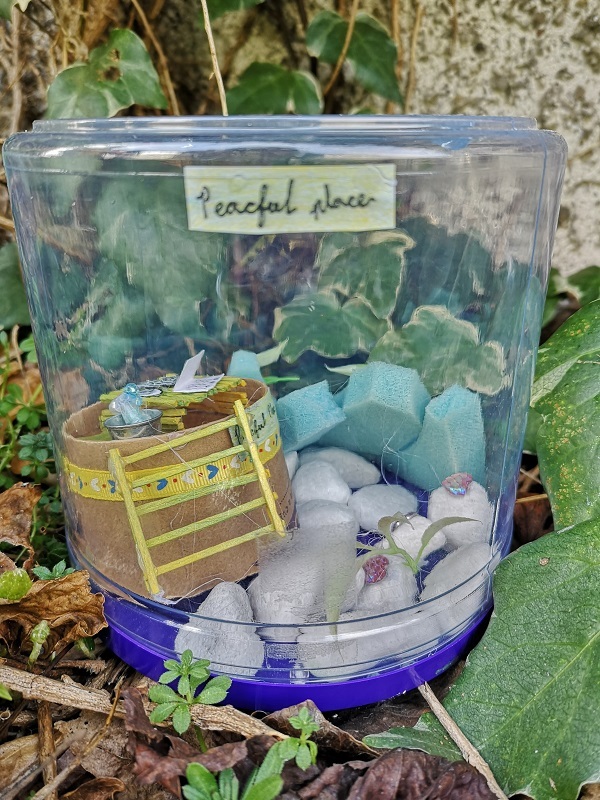 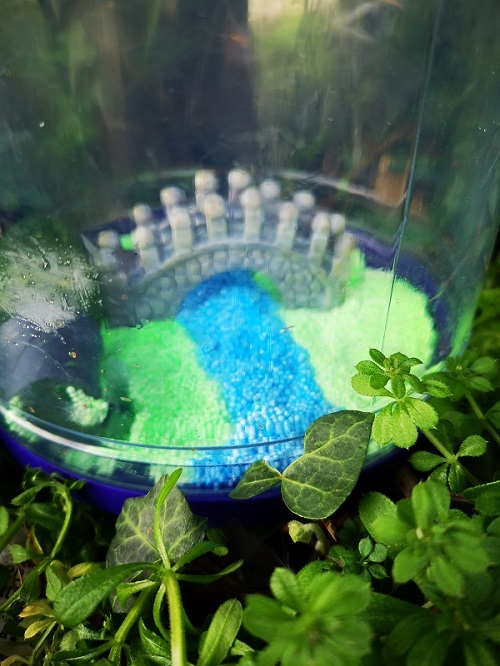 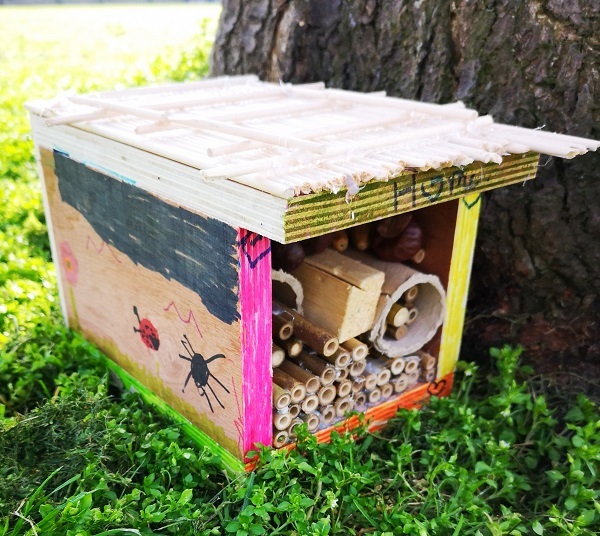 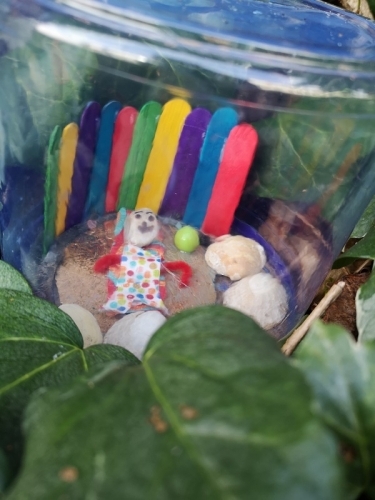 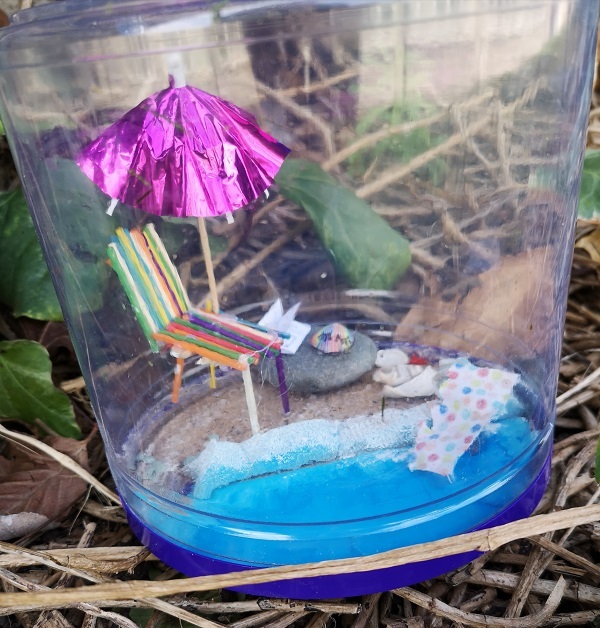 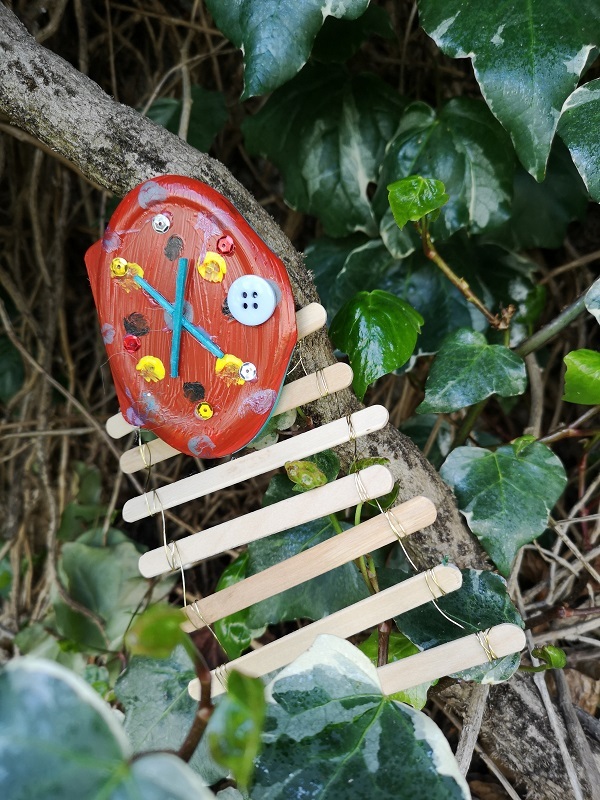 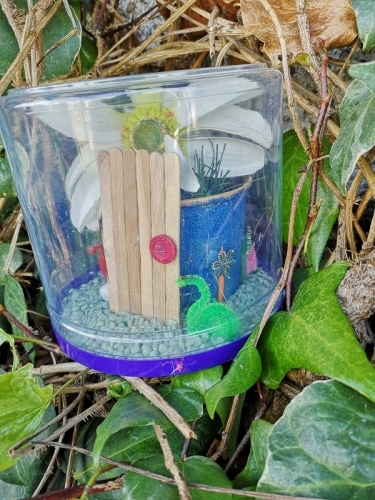 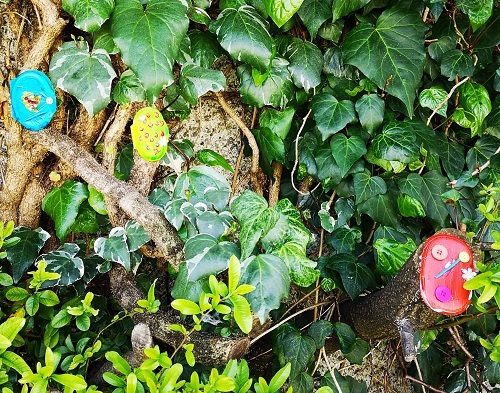 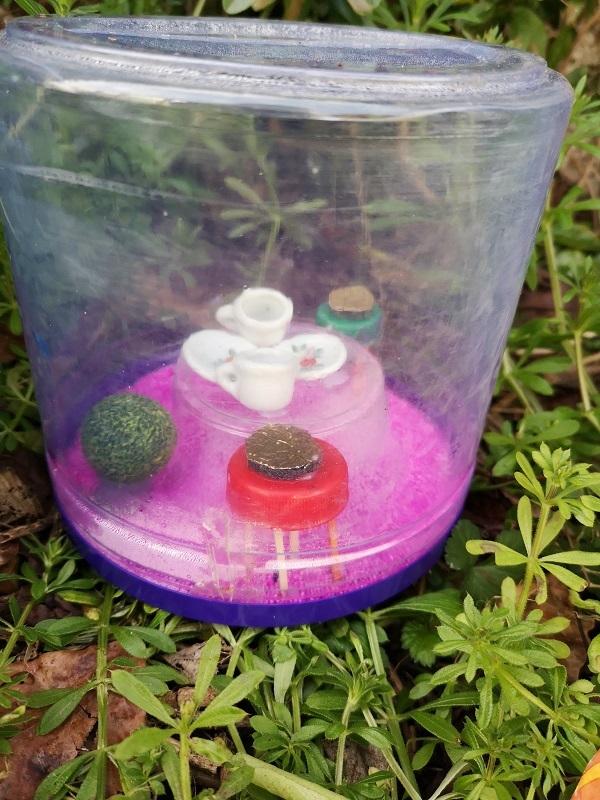 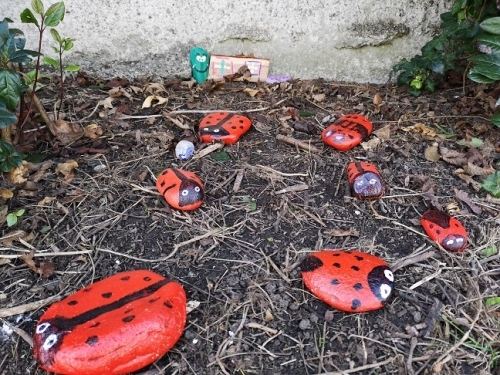 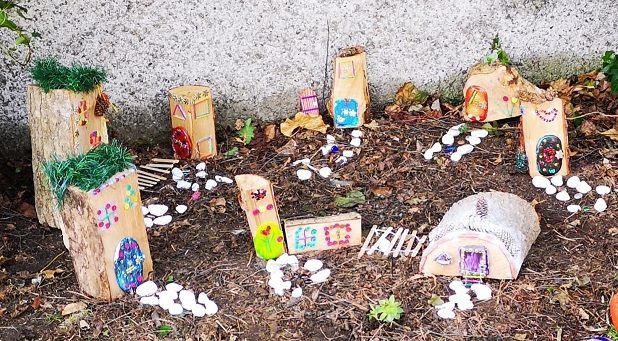 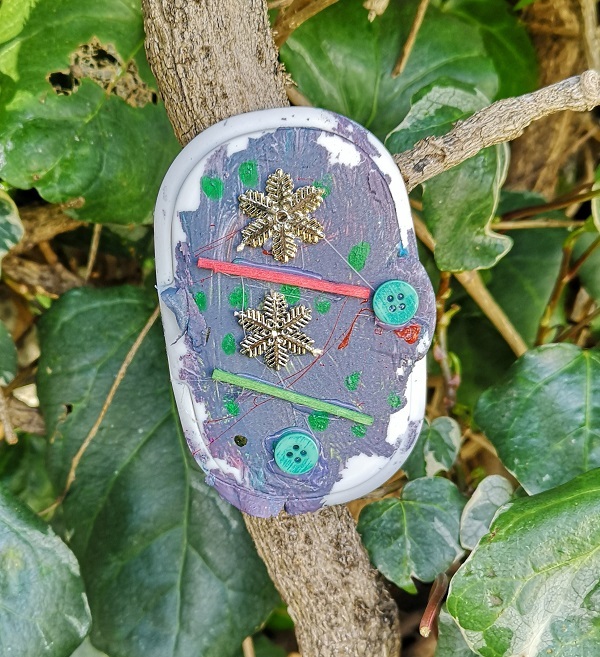 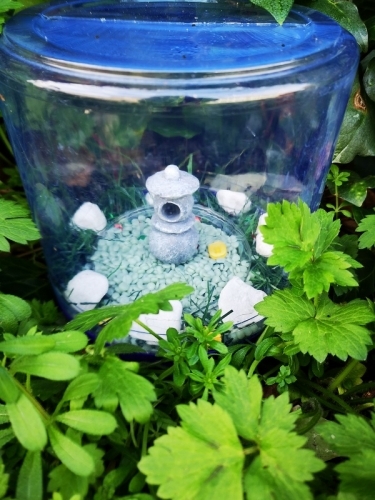 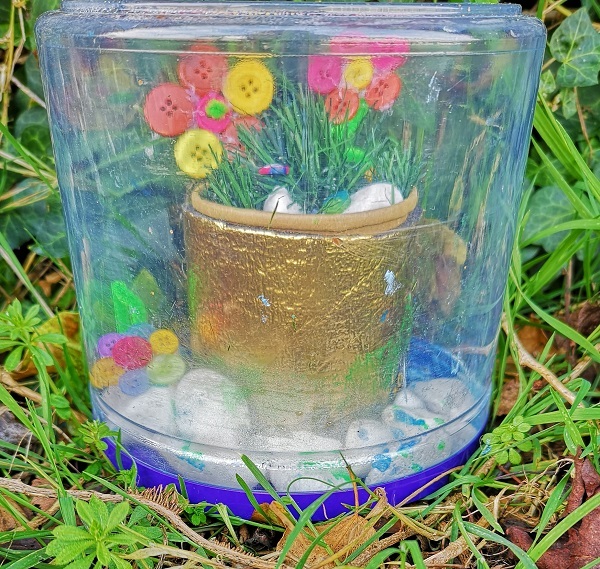 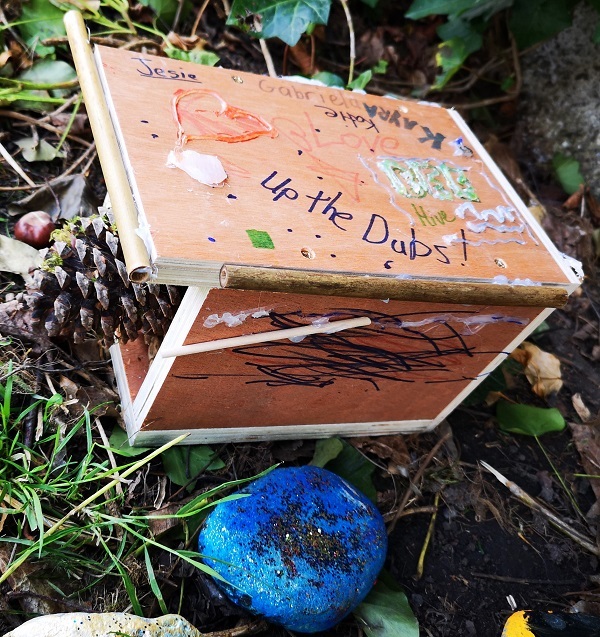 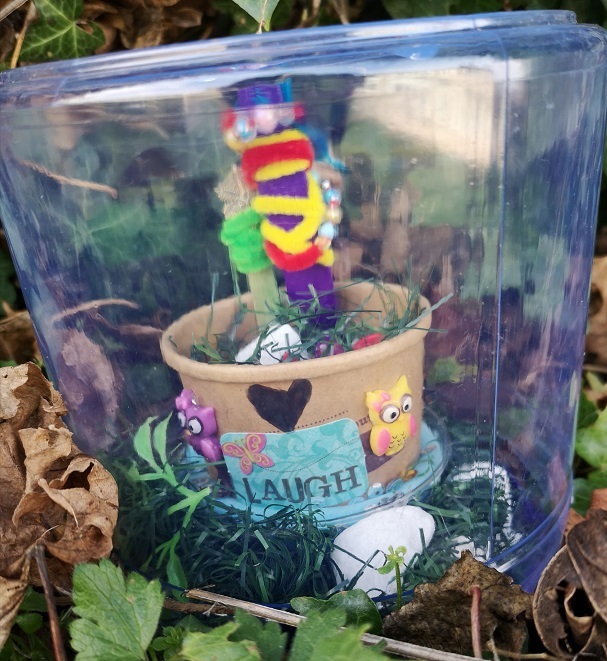 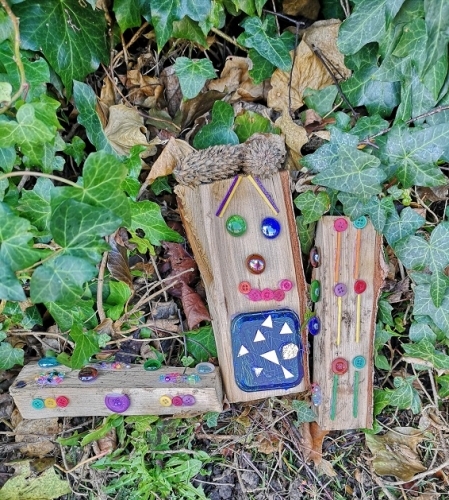 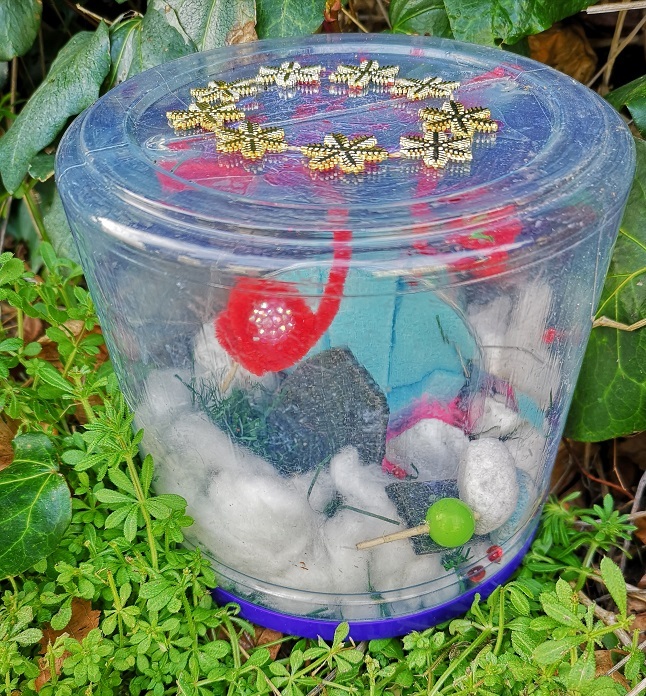 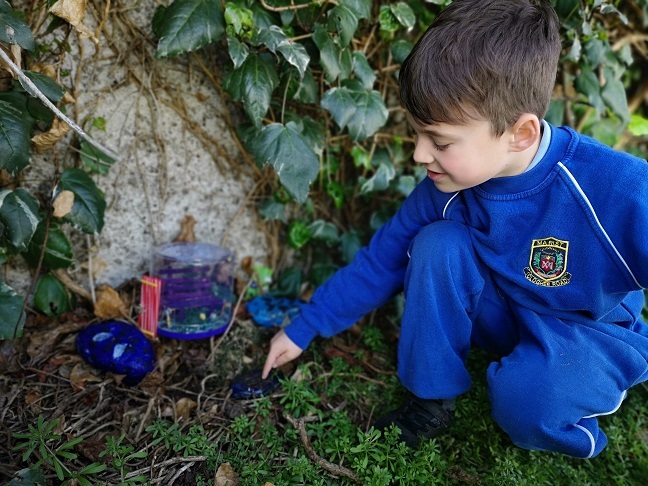 Niamh's Walkway, as the photos illustrate, hosts a myriad of wonderful treasures from fairy doors to terrariums to bug hotels. 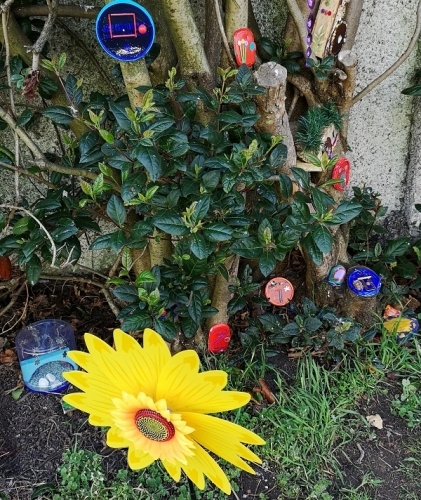 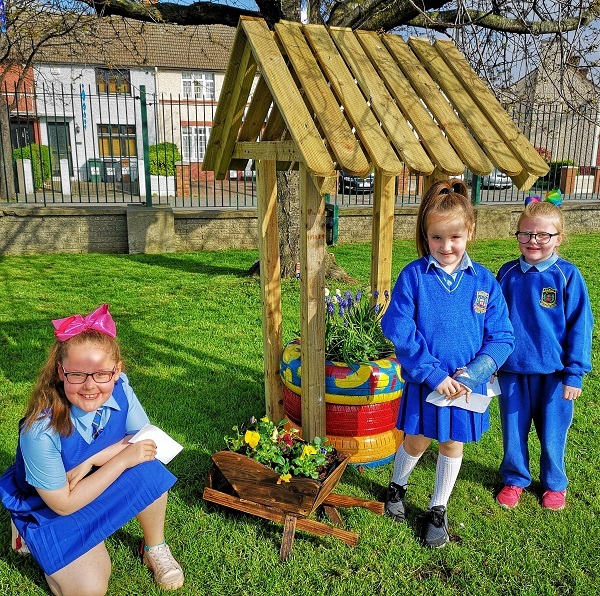 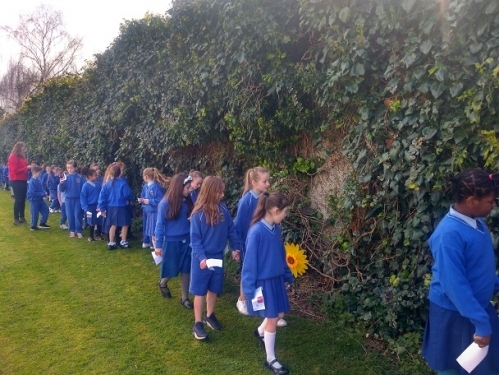 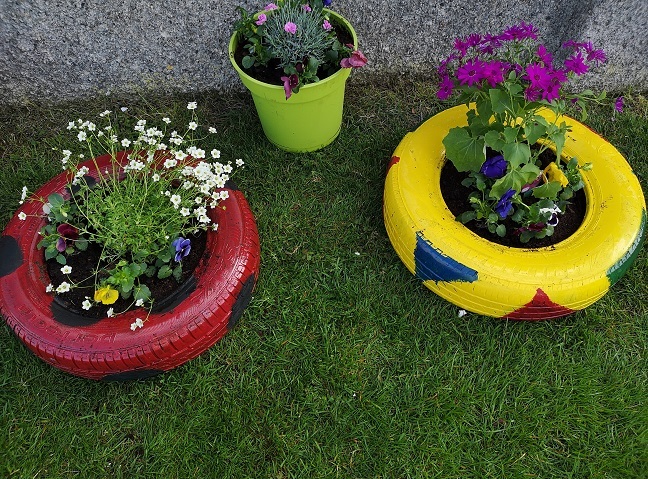 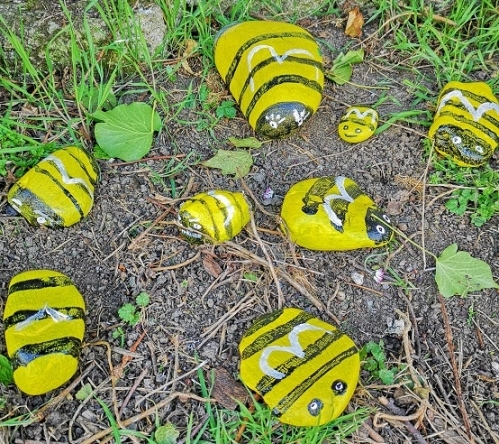 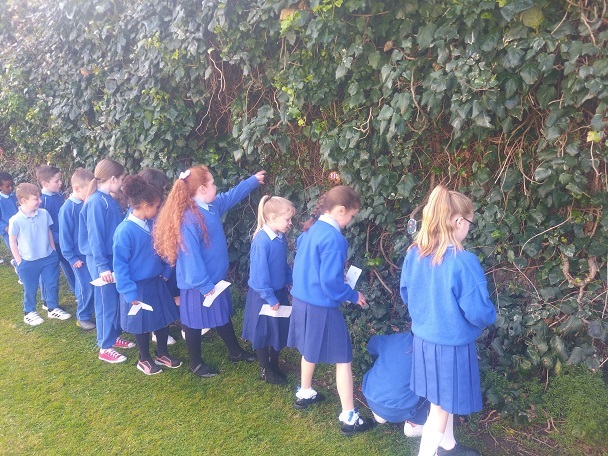 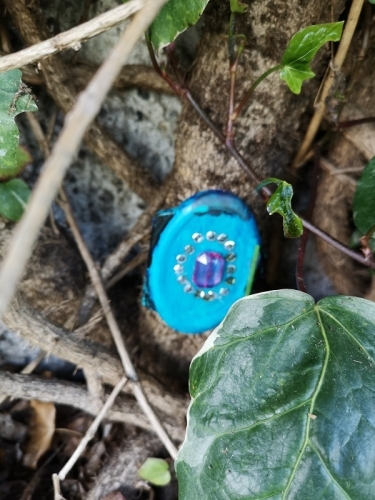 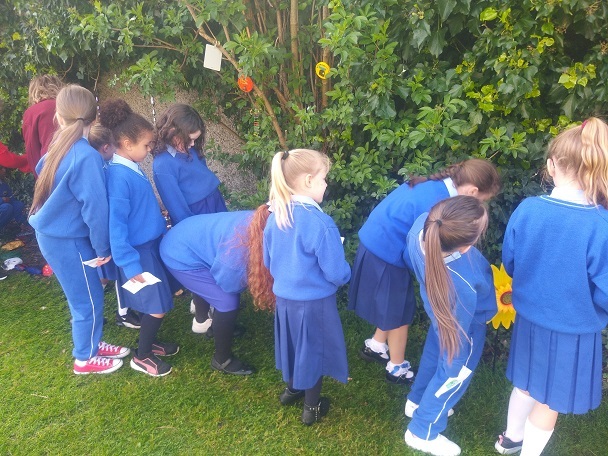 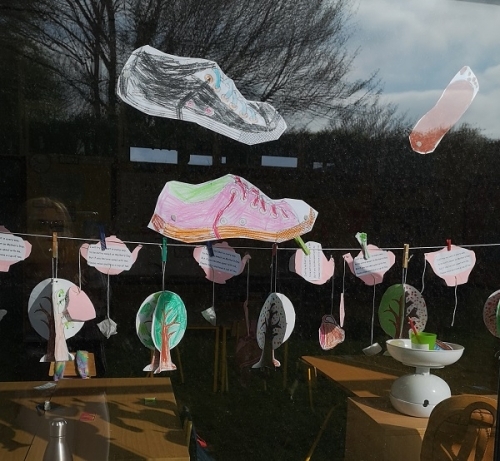 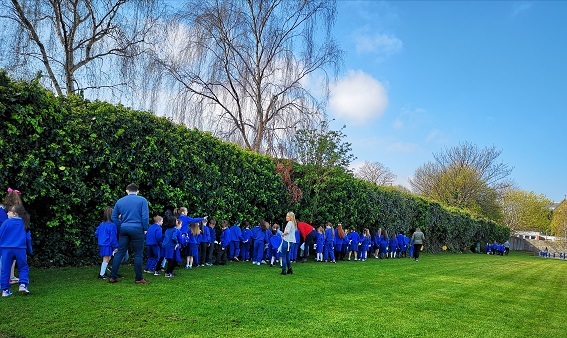 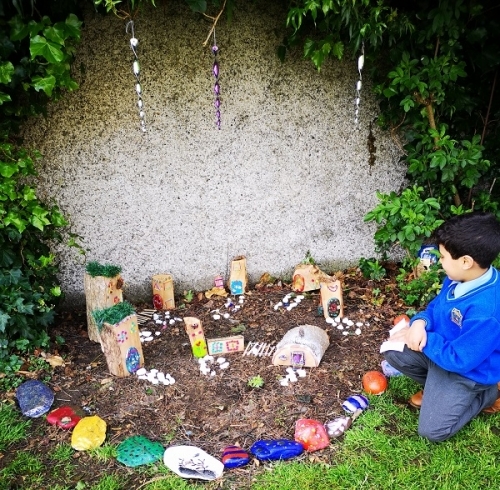 The hidden treaures along the Walkway were made by our Fourth Class with the support of their teacher Ms. Tiernan, their SNA Sandra Mc Loughin and the artistic vision and direction of Ms. Barrett. The walkway also hosts a wonderful purple bench dedicated to the memory of Niamh. 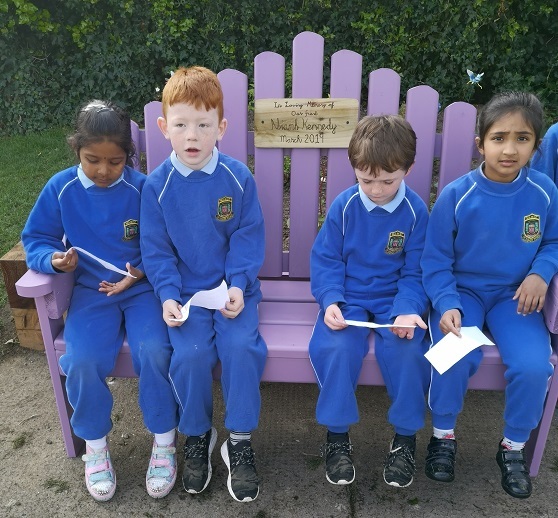 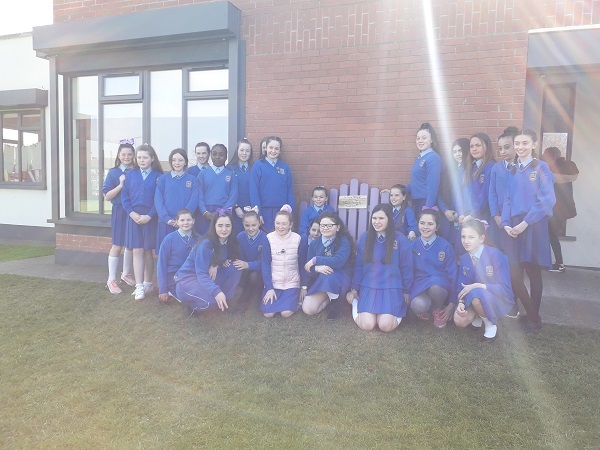 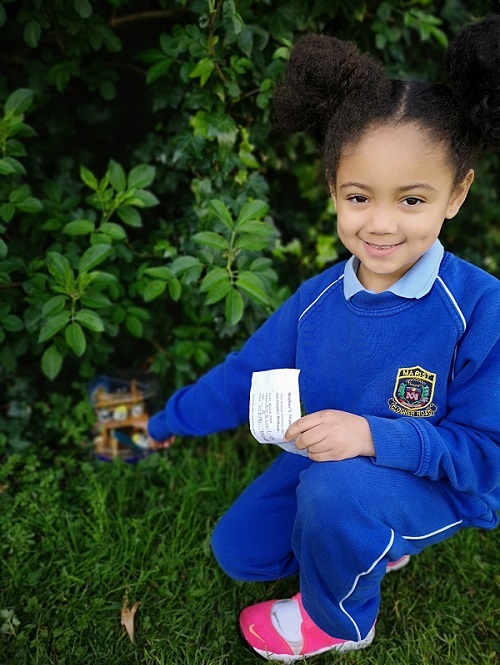 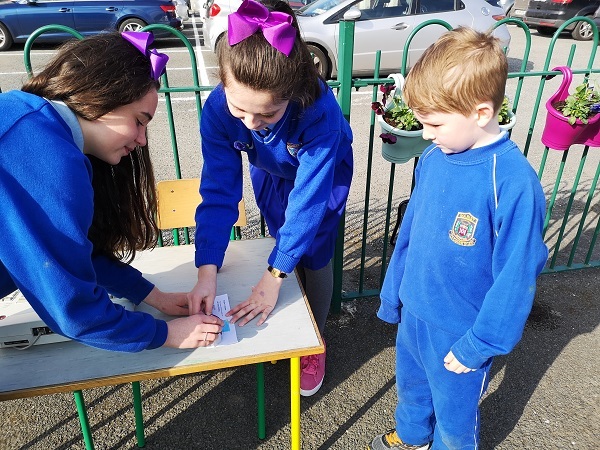 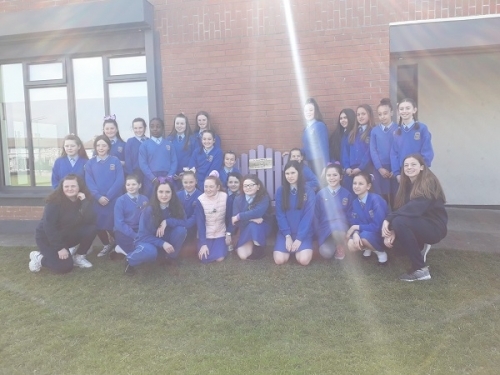 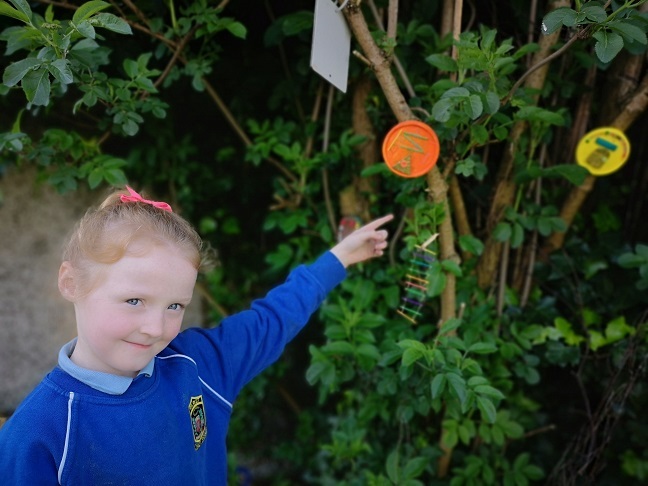 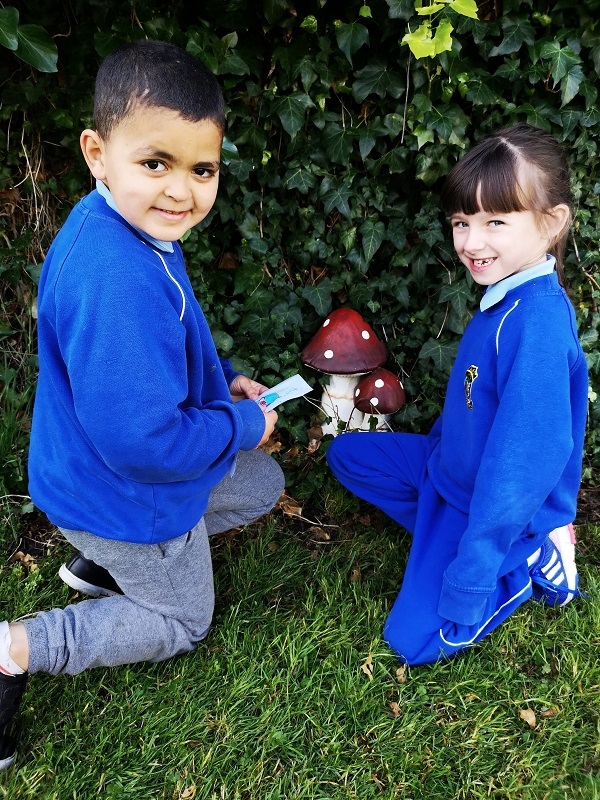 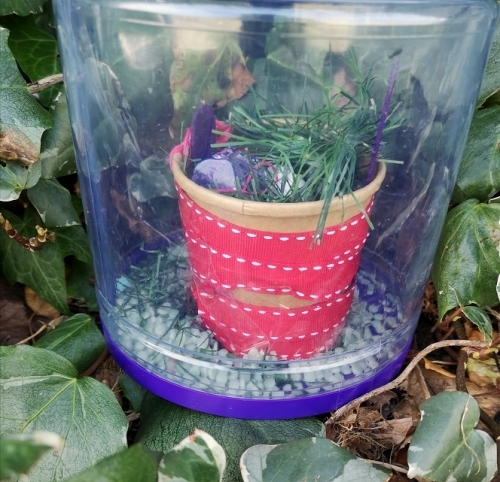 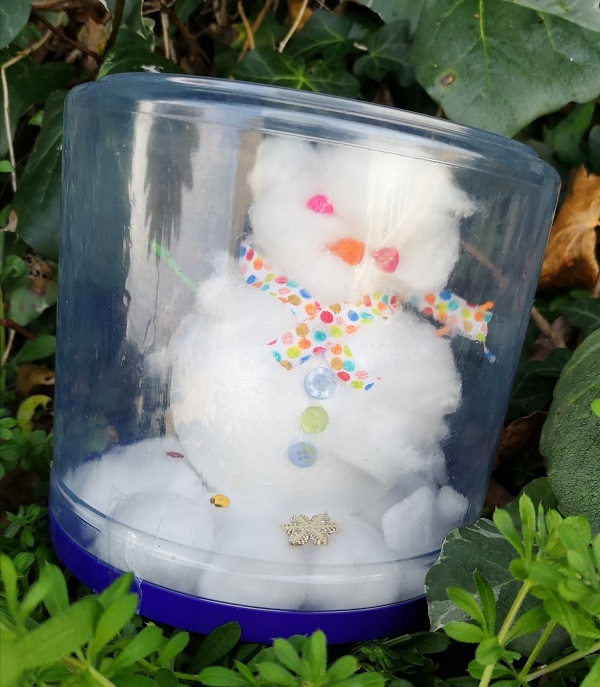 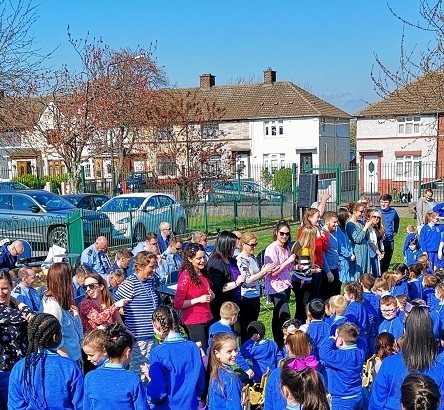 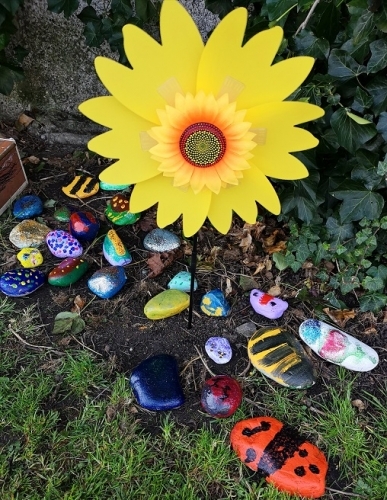 Niamh's class friends organised a cake sale to raise funds for the bench - it was their way of saying that they would never forget their special friend. 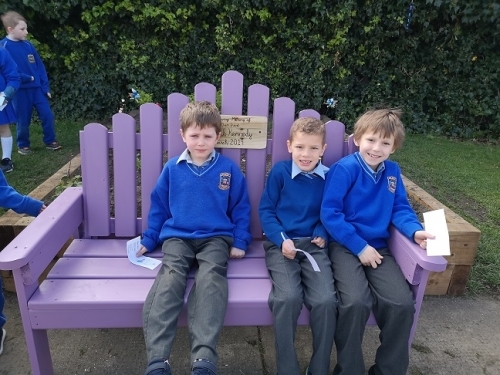 The local Mens Shed made the bench at a substanially reduced cost for the girls insisting that they put the rest of their money towards their donation to Cystic Fibrosis. 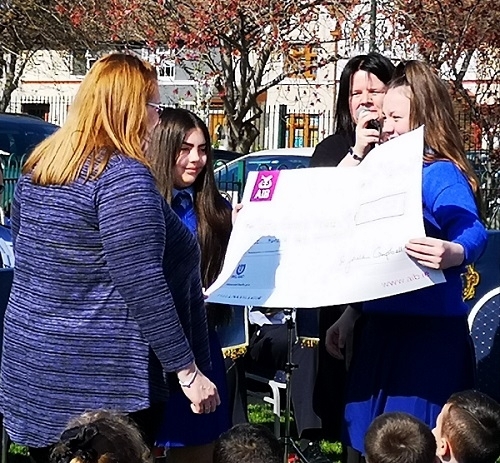 Today before the Garda Band began their concert, Niamh's class friends presented her family with a cheque for €500 for Cystic Fibrosis Ireland. 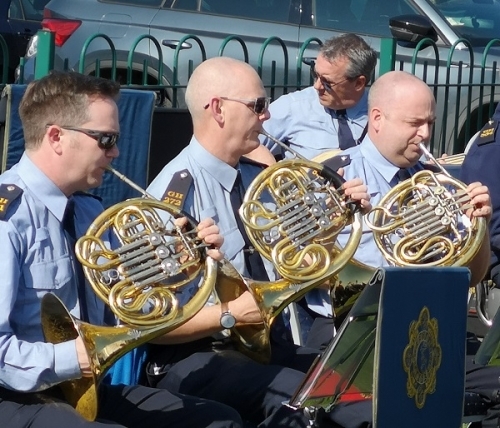 The Garda Band were, as ever, fantastic. They played all our favourite tunes from Shark to Shotgun to Frozen! 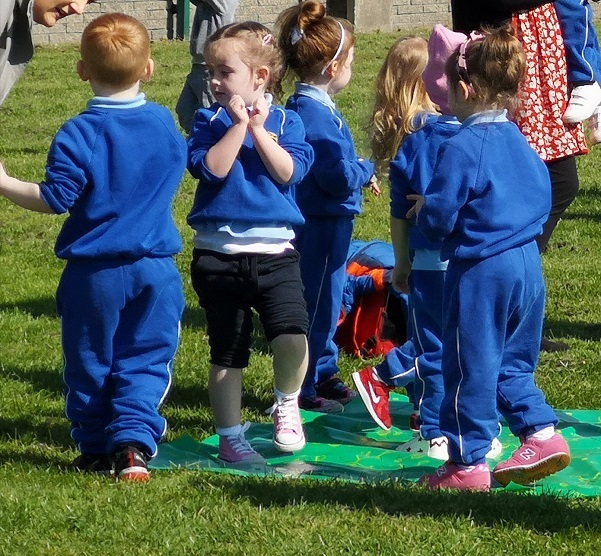 Everyone from 3 years upwards sang, clapped and danced their way through the performance. The sun shone down, we were all together and happy - Niamh was most definitely smiling down on us.